Home / Celebrities Gist / Lifestyle / Nigerian Lawyer Assaults Actress Kate Henshaw's 15-year-old Maid, See Her Reaction! 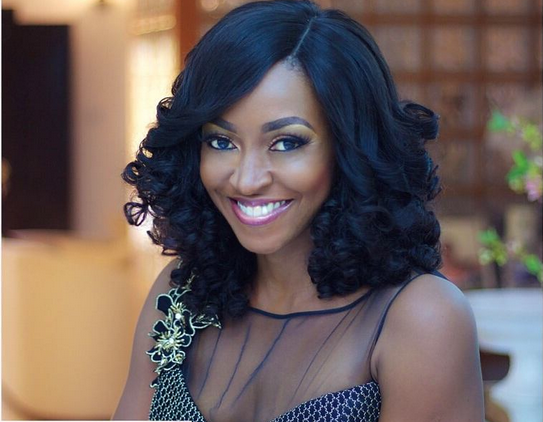 Nigerian Lawyer Assaults Actress Kate Henshaw's 15-year-old Maid, See Her Reaction! Recently, Nollywood veteran actress Kate Henshaw's 15-year-old maid was badly assaulted by a Nigerian lawyer identified as Tolu Olaoye. Her face was bloodied as seen in the picture below. It was later reported that the Commissioner of Police in Lagos State, Edgal Imohimi has orderd for Tolu Olaoye's arrest over an alleged violent abuse of Kate's home help. 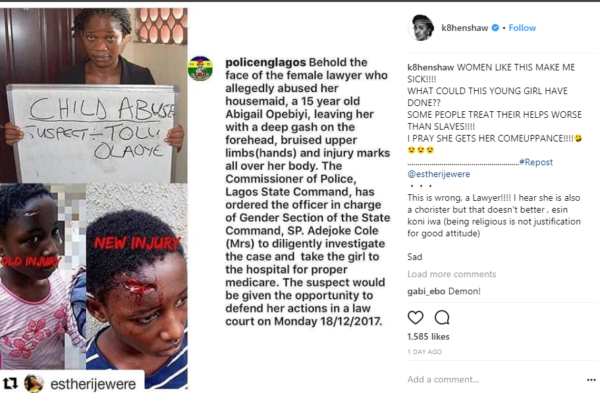 Nollywood actress, Kate Henshaw has reacted to the arrest of the lawyer who assaulted the 15-year-old maid. WOMEN LIKE THIS MAKE ME SICK!!!! WHAT COULD THIS YOUNG GIRL HAVE DONE?? SOME PEOPLE TREAT THEIR HELPS WORSE THAN SLAVES!!! !